Even if you’ve had wood fences for years, there are probably still some things you didn’t know about them. Even if you’ve had wood fences for years, there are probably still some things you didn’t know about them. We’re all busy, and that means we probably don’t have the time to learn as much about wooden fences as we can. 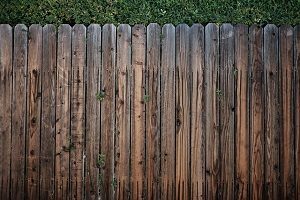 Here are some fun facts about wood fences that you can bring up at your next party. The chances are that with the weather looking up this weekend, you’re going to get some yard work done. After all, no one likes to be rained on while mowing the lawn or trimming the hedges. But your neighbors are thinking the same thing. Wood fences can help reduce ambient noise coming into your yard. So once you’ve finished up all your work and you want to relax on your patio with a book and a few cups of tea, you won’t have to hear your neighbor running the weed whacker. Wood fences can also increase the privacy around your yard. Want to let your dog run around to get some exercise, but you don’t want them barking at everything in sight? Then put up some wood fences! Wooden privacy fences can also protect your pool and hot tub from spying neighbors and wild animals that might wander onto your land. Even though summer can produce some pretty impressive wind storms, these storms don’t compare to the wild weather of fall and winter. Use wood fences to slow down the wind, and you can avoid having your trees knocked over or your fire pit being blown out before you can enjoy it. One more thing: wood fences are incredibly stylish. If you would like to have louvers, lattices, or pickets attached to your fence, you can! You can even choose to have split-rail wood fences to help protect your larger animals, such as horses and cows if you live on a farm. This entry was posted on Friday, September 28th, 2018 at 4:23 pm. Both comments and pings are currently closed.